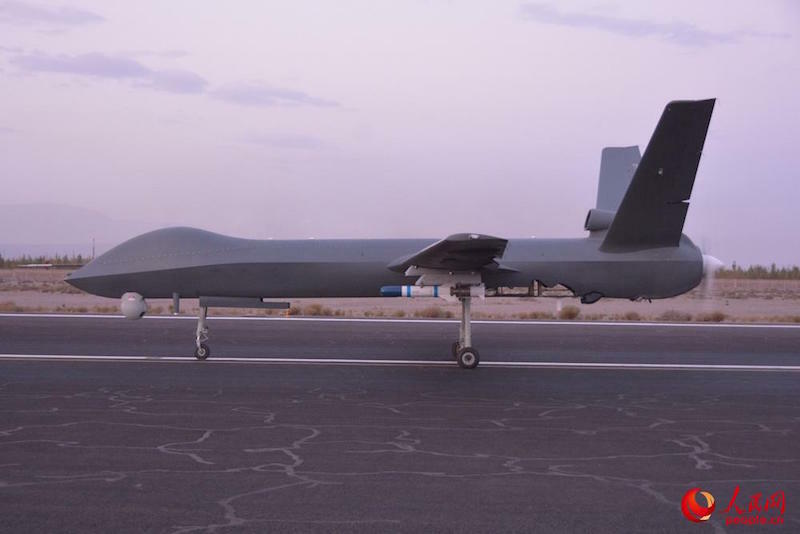 The People’s Daily Online has posted photographs of the CH-5 medium-range, long endurance unmanned aircraft taken from different angles, and clearly showing details of its weapons fit. China’s unmanned aerial vehicle CH-5, or “Caihong (Rainbow) 5,” completed a live-fire exercise earlier this month. 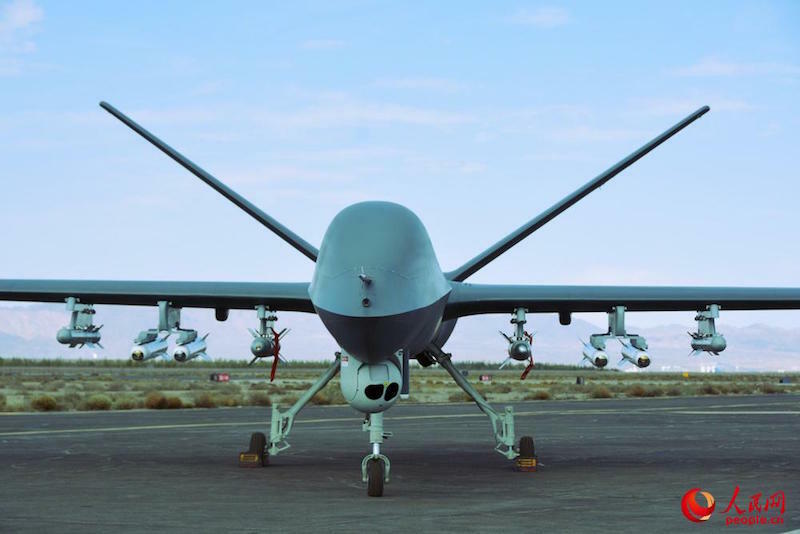 The CH-5 is the latest drone developed by the Chinese Academy of Aerospace and Aerodynamics. According to deputy chief designer Lan Wenbo, the CH-5 has already completed performance flight testing and entered into small-scale production. 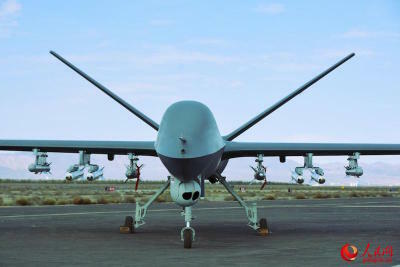 The drone, which measures about 11 meters in length and stands over four meters high, has a wingspan of 21 meters. 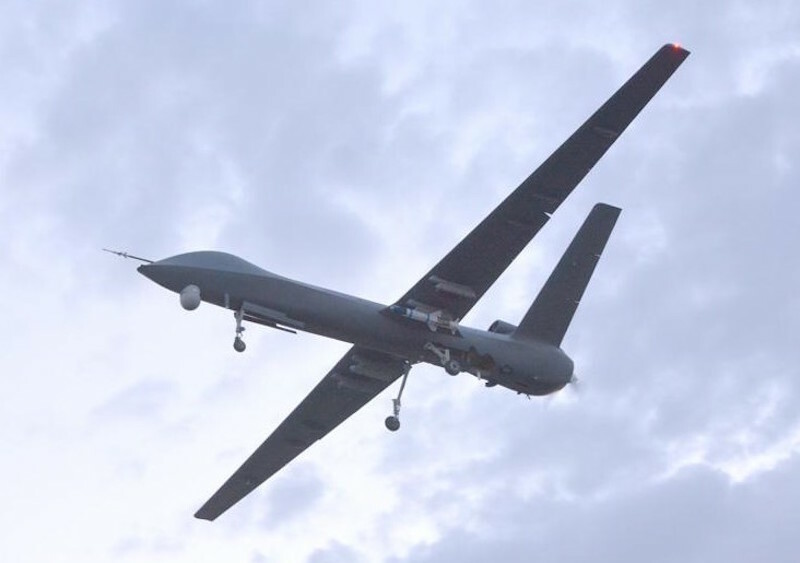 It is China’s largest drone for reconnaissance, surveillance, patrols, target positioning, and strike missions.